Deutsche Bank might move its business away from Britain if the country chooses to leave the European Union. The second biggest bank in the eurozone said Tuesday it formed a high-level working group to examine potential consequences of a British exit from the bloc, and consider whether to move parts of the bank back to Germany. British Prime Minister David Cameron promised to hold a referendum on the country's EU membership by 2017. The in/out vote was one of the key Conservative pledges ahead of the general election two weeks ago. The party snapped a surprising overall majority of the vote. But while the referendum promise might have gained Cameron extra votes, it has not gone down well in the City. Top business leaders have warned the government about the potential fallout effect of "Brexit." The financial industry is crucial to the British economy, contributing around 8% of the country's GDP and providing 1.1 million workers with jobs. The announcement from Deutsche Bank (DB) comes less than a month after Britain's biggest bank, the HSBC (HSBC), said it was considering moving its headquarters out of the U.K. because of tough regulations and uncertainty over the country's future in Europe. 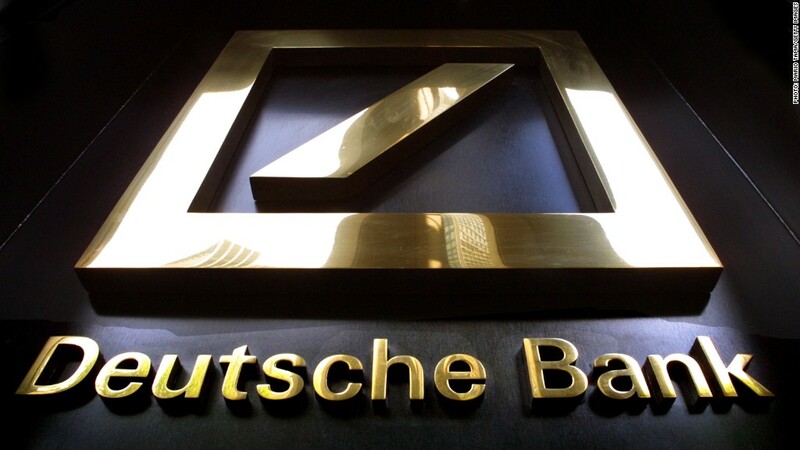 Deutsche said the working group, which includes senior executives across the bank's divisions, is at an early stage, with no decisions made so far. The bank's spokesperson said clients have been approaching the bank in the past few months and weeks looking for advice on the topic. Deutsche Bank operates in 16 locations in the U.K., employing just under 9,000 people. The bank's shares were trading 1.8% up on Tuesday morning in London.